Book first or movie? What say you? When someone mentions a book being turned into a movie, the response is usually a loud cheer or a frustrated groan. Many great movies have come to life from books. Yet books and movies are very different. For some people, seeing characters come to life is a magical thing. They enjoy it much more than having pictures in their own heads. However, for others their imagination is plenty. The idea of someone making a movie that changes their ideas, or doesn’t match up with their interpretation, is a frustrating thought. Some films that come from books are right on, with the majority of the people being satisfied with their outcome. Take such films as Harry Potter and Twilight; while some people are annoyed at particular aspects of the films, they have still gained cult followings of satisfied readers and viewers. I experienced some debate surrounding this topic recently, after my high school class read and then watched the seventies version of The Great Gatsby. Several people had also seen the recent remake of the story, so we talked about that as well. I found many people annoyed at particular details that they loved about the story, which the movies left out. As well as the way particular characters acted in the movie but not in their interpretation of the book. It is interesting how many people think that two different art forms need to exactly mirror each other for the movie to be “good.” I imagine that if people had not read the book, or if there was no book, people would have been perfectly satisfied with the films. They were well made, just not exactly like the book. Throughout my life, people have always urged me to read books before seeing their corresponding movies. However, sometimes I find this strategy doesn’t make either form of the story enjoyable. There are exceptions to this, but overall I find it difficult to so closely compare two very different art forms. 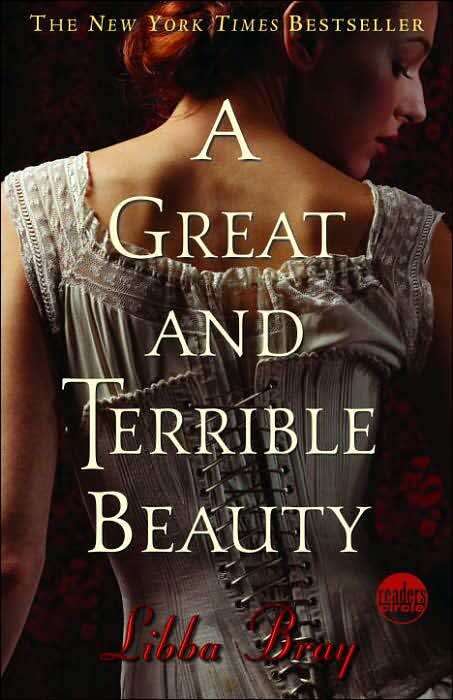 Even when I do see the movies made from books, I try (not usually succeeding but I try) to enjoy them separately and enjoy the great qualities of each. Everyone has their own opinions, of course. What do you think? Should books and movies constantly be compared? Or on the other hand, should the pictures in your head from books be kept separate from the images in the movie? The library has some great films that have come from great books. I suggest you check them out sometime. You can either compare them, or enjoy them separately. The choice is yours; you get to experience great pieces of art either way! 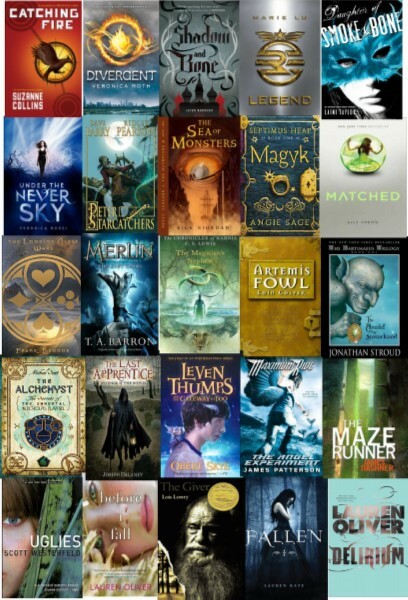 This entry was posted in Movies, Opinions, Read This!, Teen Powered and tagged books to movies, classics, debate, essays, Harry Potter, Northeast, Twilight on May 23, 2014 by Teen Blogger. Title and Author: Angelfire by Courtney Allison Moulton. I started reading it because…I found it on the library shelf and picked it up. It looked relatively new so I decided to check it out. It had a very interesting story plot and I decided to borrow it – I couldn’t put it down after I started. I kept reading because…the plot was perfect. It was very creative and made me want more. The characters each had their individual qualities that made them perfect and imperfect at the same time. The writing style of Moulton captured my heart and wouldn’t let me put the book down for even one day. Ellie- If she was in a yearbook she would most likely be voted as More Lives than a Cat. Will- if he was in a yearbook he would be voted as the Most Faithful and Dependable Guy. Flash Review: Inhumane girl with Guardian kills Reapers. The book reminded me of . . . the Twilight Series because of its supernatural content. Rating out of 10: 9.6/10 – Reason: there were some careless spelling mistakes. This entry was posted in Read This!, Teen Powered and tagged Book Reviews, Book Shorts, books, fantasy, lean mean teen reviews, romance, Twilight, written by teens on March 22, 2012 by Teen Blogger. When seventeen-year-old Bella leaves Phoenix to live with her father in rainy Forks, Washington, she meets an exquisitely handsome boy at school for whom she feels an overwhelming attraction and who she comes to realize is not wholly human. Who wouldn’t want to be adored like Edward adores Bella? To have someone dazzle them? In some ways, Edward and Bella’s love is a bit scary, but on the other hand I think all of us want a love that is intense, all-consuming and fueled by desire. It’s a love that shouldn’t be, but that neither can walk away from. Edward is old fashioned and truly a gentleman. He has waited a long time to find the right one. Bella on the other hand, is a modern teenager who knows exactly what she wants, but does not get to choose because the choice isn’t hers. In the end, the only thing that truly matters is their love for one another. Another reason we liked this book was because it gave teen fiction a whole new direction for authors with stories to tell. A huge slew of vampire novels came out, followed by more books involving werewolves, zombies, and other creatures of the night. If you liked Twilight you also might like Shiver by Maggie Stiefvater or Firelight by Sophie Jordan. If you’ve read everything in the vampire arena, but still want something supernatural, try Linger, by Maggie Stiefvater, Intertwined, by Gena Showalter, or The Forest of Hands and Teeth, by Carrie Ryan. And here’s our Teen Vampire booklist. This entry was posted in Book Lists, Read This! and tagged Book Lists, Book Reviews, top 20 - 21st century, Twilight, vampires on April 11, 2011 by pushtotalkteens. Winter, for me at least, is a time of nostalgia. Snow and cold winds, scarves, hot chocolate and Christmas shopping… Walking along the street downtown just to see all the holiday storefront displays and the trees wrapped with lights. The reasons for this are rather obvious, as the story is a Christmas tale, therefore automatically feels like winter. However, it’s an amazing story, and Sendak’s illustrations are beautiful. 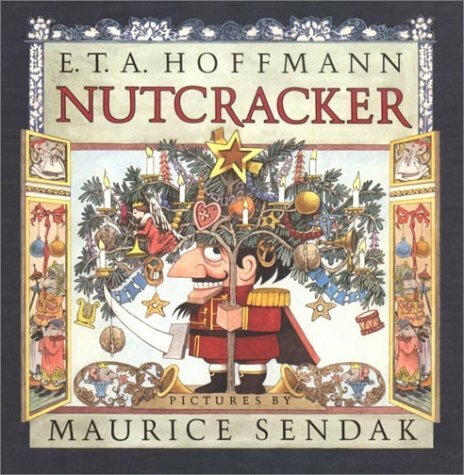 I read this every single year the week before Christmas, but whatever holiday you celebrate, it’s still a completely wonderful, satisfying read. Okay, I am not a fan of Twilight. I don’t enjoy the books or the movies. But the soundtrack has this mix of eerie and cozy, which is a wintery feel to me, and I love it. 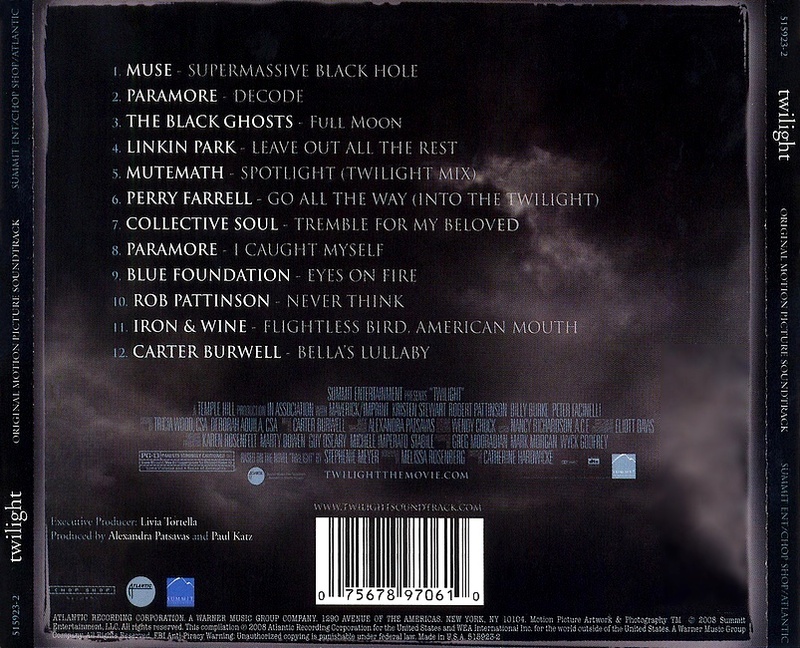 So, Twilight lovers and haters, unite and listen to this CD! When you’ve finished, you’ll immediately want to read the other two books in this mystical trilogy. The characters are lively and the descriptions in the book are vivid and clever. You’ll get so wrapped up in their world that you might cry (I did) when you finish the tale. Libba Bray definitely has some serious talent. Even if you disregard the other suggestions, read this book! This entry was posted in Music, Read This!, Teen Powered and tagged Book Reviews, Music, Twilight, winter, written by teens on November 27, 2010 by Teen Blogger. This is for all of you out there who, like me, did not feel the need to camp out in front of the nearest movie theatre on June 29. While I enjoy standing in public with a pale face and a shirtless male smirking at the world from my shirt as much as the next person, I decided that I was better off waiting a few weeks to see Eclipse. As you may have gathered, I am not the most adamant Twilight fan, especially after viewing the first few movies in the popular series. My expectations upon entering the theatre were not high, though I had heard this movie was supposed to be the best of the three. However, I did not know whether that meant it was exceptional or just better than the other two movies. As the lights dimmed and the movie began, I was treated to a rather odd introduction of a man walking in the rainy Seattle streets. Putting aside my anger at the stereotypical buckets of rain pouring down, I wondered: where are all of the sparkling teen heartthrobs? A decent attack scene ensued, and then my question was finally answered when the picture changed to Edward and Bella in their meadow. Darn. I was actually forgetting about the main characters’ acting abilities (or lack thereof) until that moment. Predictably, the movie continued with copious amounts of monotone voices, shirtless Native Americans, and random kissing scenes. In between all of the heartfelt discussions, choices, and questions, there were some decent fighting scenes interspersed throughout the movie. Victoria, the vengeful vampire bent on destroying Bella, appears in scenes whenever some type of action is occurring. As the prime villain in the movie, she takes part in entertaining chases, fights, and even stars in several dreams. The intensity brought to the fighting between supernatural creatures is worth seeing, though the entire movie is a slightly dulled-down version of the book. I compliment the director and screenwriter for fitting all of the major events in the novel into the two hour film. Overall, I agree with other reviews that this was the best movie out of the three, despite certain scenes that could have mirrored the previous two movies perfectly. If you enjoyed reading Eclipse by Stephenie Meyer, the movie version is worth watching, even if only for the action scenes and rare glimpses of Seattle. This entry was posted in Movies, Opinions, Teen Powered and tagged books to movies, Movies, Twilight, written by teens on August 7, 2010 by Teen Blogger. This might sound cliché, but I want to meet the characters from the Twilight series. I don’t mean the actors from the movies (although I do want to meet them in person too, especially Taylor Lautner), but the characters from the books and how they are described by Stephenie Meyer. It’s pretty obvious that no one can look exactly like the Edward or Bella or Jacob Stephenie Meyer envisioned, it’s impossible. I thought the the actors from the movie portray their characters well. I actually read the books after the movies came out so, when I imagine the characters in my mind they look like actors from the movies. What about you? If you read the books before the movies what is your vision of the Twilight characters? Are they different than what is on the big screen? 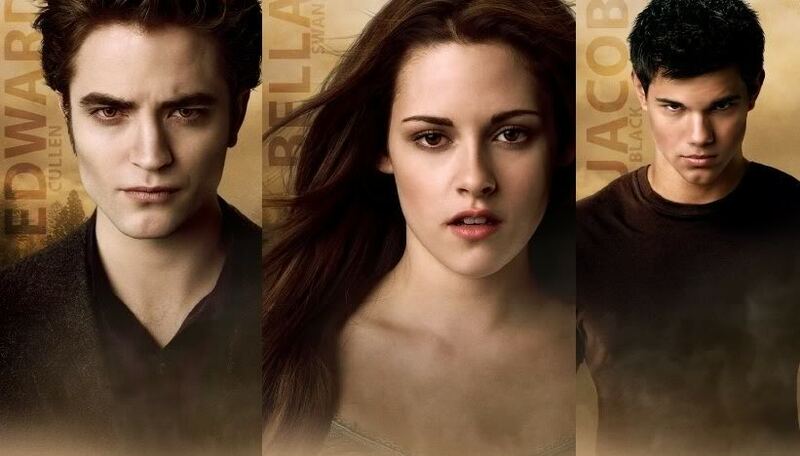 Maybe you think of Edward being more sophisticated, Bella having lighter colored hair or Jacob being more tan. Are you happy with the way the movie was cast? This entry was posted in Movies, Teen Powered and tagged Twilight, written by teens on April 3, 2010 by Teen Blogger. What will you be doing on Thursday, November 12, 2009 at 5pm? If you call yourself a Twilighter or just love famous people you may find yourself down at the Westfield Southcenter Mall. With the movie, New Moon (based on the book New Moon by Stephenie Meyer), coming out on November 20th, a nationwide cast tour will be kicking off in L.A. on November 6th, hitting Seattle (sort-of) on November 10th. There will be activities and prize giveaways related to the film, a Question & Answer forum with the cast (FREE! ), and a performance from artists off the movie soundtrack (maybe Bellingham’s own Death Cab for Cutie?). In addition, there is a special in-store VIP event hosted by Nordstrom and an autograph signing event at Hot Topic. To be eligible for each event, fans must go to the store of their choice by 8am on October 31st and make a purchase. Nordstrom will have 75 VIP packets which will give you the “chance to have a professional photo taken with select cast members on event day and will receive an autographed commemorative photo holder.” To celebrate the opening of the movie New Moon and their release new Twilight-inspired line of clothing and cosmetics, Nordstrom is having several other contests and events including a grand prize drawing to attend the New Moon premier in L.A., tickets to a private movie screening and two days of “Takeover Parties”. Hot Topic is handing out an unknown number (last year they had 750) of wrist bands to will give you the chance to get an autograph from a real live cast member. Be prepared for a crowd! Last year, for Twilight, people lined up at 4am to meet Taylor Lautner (Jacob Black), Edi Gathegi (Laurent) and Rachelle LeFevre (Victoria) at Hot Topic in the Westfield Southcenter Mall. Summit Entertainment has not announced the cast members or band that will be attending this event but, check back here for an update. Remember, just like the library, the band performance, Q&A, activities and prize giveaways are completely FREE so don’t feel like you need to go out and buy something to get your Twilight fix on! This entry was posted in Events, Movies, Tidbits and tagged New Moon, Twilight on November 8, 2009 by pushtotalkteens.